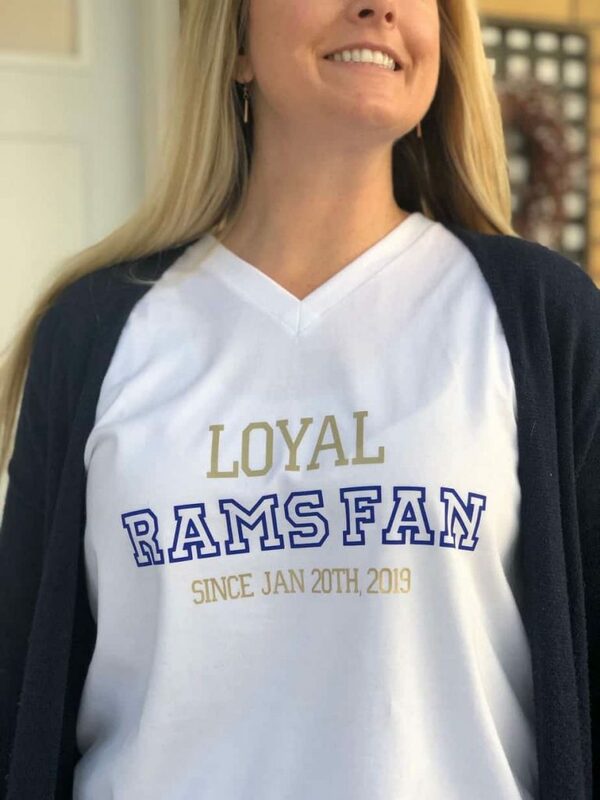 I’ve seen some funny memes about how almost the whole country are now Rams fans. 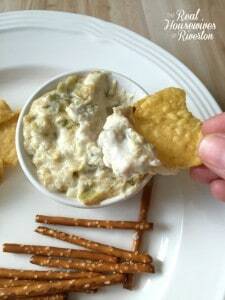 I love football, but really don’t have a “team” for the Super Bowl. 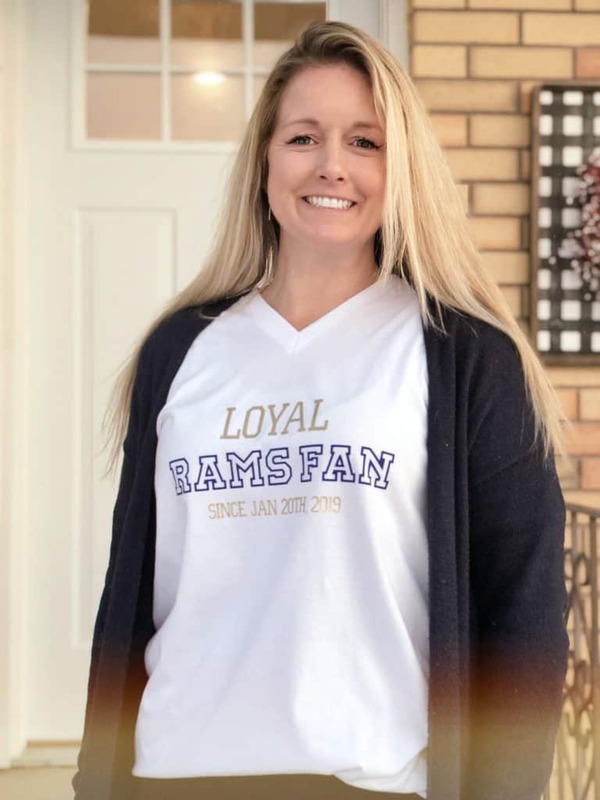 I thought this Loyal Rams Fan Super Bowl Shirt would be a fun way to show your support for your new, favorite football team! This t-shirt was super easy to make using my Cricut EasyPress and my Cricut EasyPress. If you log into Design Space, you can find the cut file that I used Cricut EasyPress. I used Everyday Iron-on in Royal and Gold for the letters. After weeding the design, preheat the EasyPress to 315 degrees, and preheat the shirt for about 5 seconds. Place the iron-on on the shirt and then heat with the EasyPress for 30 seconds on the front. Flip the shirt over and heat from the back for 15 seconds. Everyday Iron-on is a warm peel, so let the material cool for just a minute and then peel the carrier sheet off. 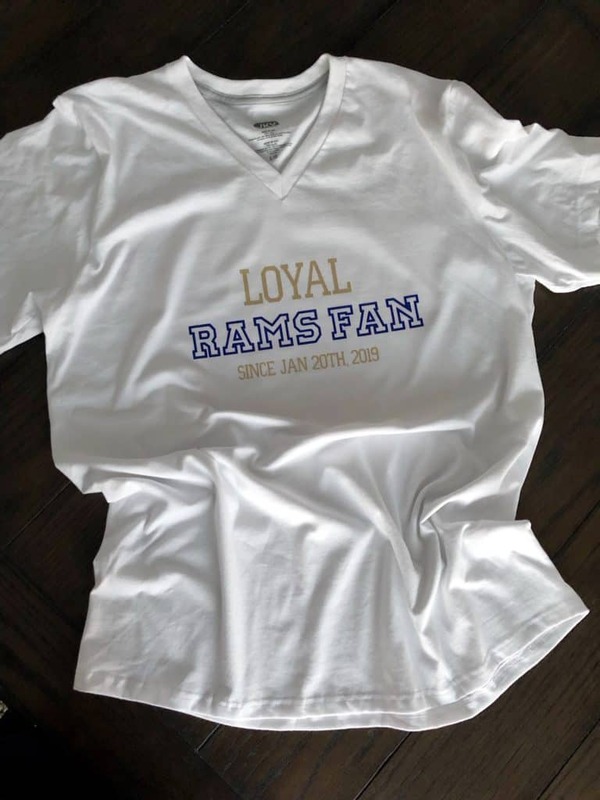 Now your game day Loyal Rams Fan Super Bowl Shirt is ready and you can focus on what’s really important…the commercials and the food! 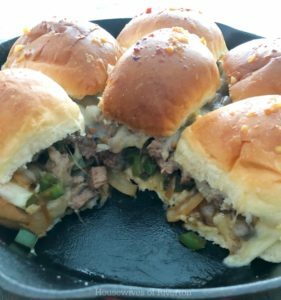 Check out some of the recipes below that will for sure make your Super Bowl party a super success! 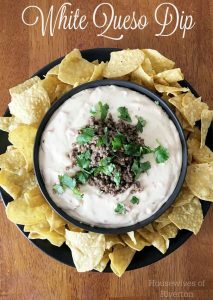 What is your favorite part about the Super Bowl? Do you have a team you are cheering for? Share with us in comments! We can’t wait to hear what your plans are for the big day!